Madalynn is founder and Executive Director of ONTRACK Program Resources (ONTRACK) and serves as the Project Director for CLAS. She has more than 24 years of program management experience in health and human services. 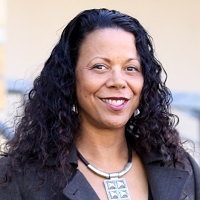 She previously served for seven years as a Human Services Analyst III for the County of San Mateo, and six years as a Program Manager for the Community Services Planning Council in Sacramento. Madalynn earned a Bachelor of Arts degree in Political Science at the University of Washington, and a Master of Arts degree in Political Science/Public Administration from Stanford University. She has extensive experience in grassroots community organizing and social activism. Following her tenure at the Community Services Planning Council, Madalynn was named the project manager of two federally-funded Substance Abuse and Mental Health Services Administration (SAMHSA) projects: Sacramento 21 Community Partnership and the New Century Alliance. 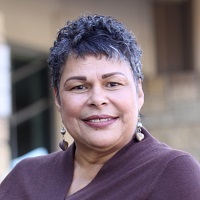 She then founded ONTRACK Program Resources in 1997, a nonprofit consulting firm, primarily serving community-based service providers and faith-based organizations working with low-income, underserved communities of color. Peggy is the Outreach and Training Manager for CLAS. Peggy oversees the administrative and contracts management processes, and provides consulting services in the areas of community organizing, outreach, marketing, program development and administrative management. Over the last 12 years with ONTRACK, Peggy has worked with various public agencies and community and faith-based organizations to help bring about understanding and change in dealing with the many issues related to substance abuse as well as a variety of other social and community problems. 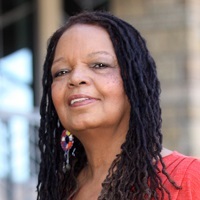 She is a vocal advocate for treatment, recovery and prisoner re-entry services and passionate about addressing the incarceration disparities affecting women of color and their families. Peggy has a Bachelor of Arts in Communication Studies with an emphasis in Public Relations. Lilyane is the Project Manager of the Community Alliance for Culturally and Linguistically Appropriate Services (CLAS). Technological and Scientific Olympics), then Deputy Director and Acting Executive Director of The Sister Fund (a small private women’s foundation). She was instrumental in launching the foundation’s Faith and Feminism initiative. Recently she spent a year working abroad with Jagori Grameen, one of the premier women’s rights organizations in India and lived in beautiful Himachal Pradesh, at the foothills of the Himalayas (about an hour from Dharamsala/McLeod Ganj, home of H.H. the Dalai Lama). Since returning to the U.S., she has chosen to relocate to Sacramento to help care for her elderly mother who has dementia. Lilyane earned her bachelor’s degree in International Studies from Mount Holyoke College (South Hadley, MA), the oldest women’s learning college in the country; and, her M.Ed. in Organizational Development from the University of Massachusetts, Amherst. Eilene serves as Project Coordinator for CLAS. She has been the coordinator on several statewide technical assistance and training projects, including a project designed to increase access to domestic violence shelters for women with mental health and/or substance abuse issues, and the Problem Gambling Prevention Project. 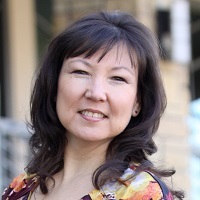 An Alaskan Native (Yupik), she is experienced in working with Native American communities and supporting technical assistance and training to address domestic violence and substance abuse in Native communities. Eilene holds a Bachelor of Arts degree in Business Administration with a concentration in Project Management. She has direct responsibility for setting up, monitoring and reporting, as well as project accounting and billing. Anita Hurtado has been the welcoming voice of ONTRACK since 2005. In addition to providing all levels of administrative support for the CLAS team, Anita prepares consultant contracts, facilitates evaluation collection, and monitors account receivables. Anita also assists with marketing and outreach, responding to requests for general project information and facilitating all electronic e-marketing activities. 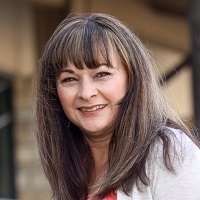 Anita is responsible for coordinating registration and continuing education units (CEU) processes, as well as on-site logistics for all ONTRACK training events.